Alice is a Northwestern Discrimination & Harassment Prevention Adviser, and represents McCormick on several Northwestern committees including Administrative Data Council, Compliance Committee, Campus Publicity Committee and Financial Management Systems Advisory Committee. She is a member of the board of the Northwestern Women's Center and is active in NACUBO National Association College and University Business Officers. 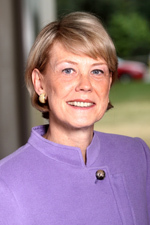 Before joining McCormick in 2002, Alice held senior management positions in strategic planning and account management for Fortune 500 and private corporations. She has a BS from Northwestern's Medill School of Journalism.